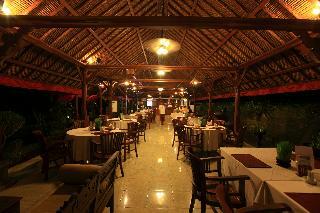 This resort enjoys a prime setting, lying just 20 minutes' south of Ubud, the art and culture centre of Bali. The resort is situated within easy access of a host of attractions in the area, making it the ideal starting point for tours and excursions. 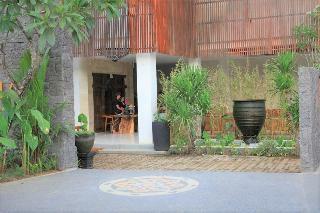 Denpasar is located just 7 km from this wonderful resort. 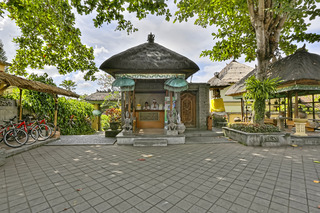 Ngurah Rai International Airport is conveniently located just 20 km away. This resort is set amidst natural beauty, valleys, rice paddies and luxuriant greenery, and is immersed in the rich culture and tradition of the island. 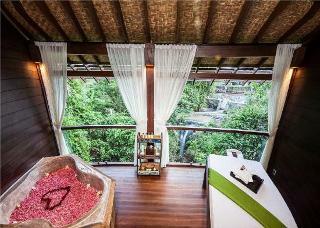 The guest rooms are beautifully decorated in a Balinese design, featuring original Indonesian artwork. The rooms offer a peaceful cocoon, in which to enjoy a refreshing getaway. Guests can enjoy a delectable breakfast in the mornings, for the perfect start to the day.